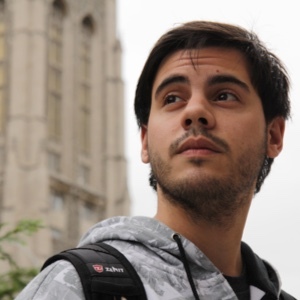 My name is Agustín Díaz, I’m a Frontend Developer at Plectica. I’ve been building stuff on the web for about 8 years, working remotely for a few startups for the past 3. Before that I was a participant at The Recurse Center where I got to improve on my skills alongside some of the nicest, most talented people I’ve ever met. I started my career developing E-Commerce stores on NetSuite, later got acqu-hired and helped build from scratch the SuiteCommerce platform. On my spare time I’m either reading tech books, bingeing something on Netflix, cycling on the promenade, or playing video (or board) games. My online handle HiroAgustin is a reference to the lovable spacetime traveling programmer/samurai Hiro Nakamura and a nod to my gaming days. All code and content for this site is available on GitHub.